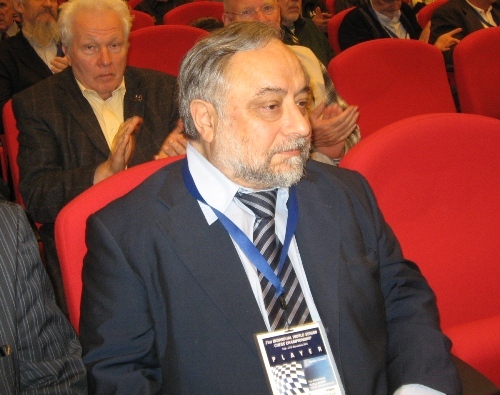 The 23rd FIDE Individual World Senior Championships 2013 were held on 11-24th November, 2013, at the conference centre Tamaris in Grand Hotel 4.Opatijska Cvijeta in Opatija, Croatia. The Championships were organized by the Chess Club “Rijeka” in agreement with FIDE and Croatian Chess Federation, under the auspices of the Mountain-littoral County, the City of Rijeka and the City of Opatija. The Women Section had 25 players competing over nine rounds of Swiss system. The surprising winner is WFM Yelena Ankudinova from kazakhstan (rated 2121) who edged the former champions Nona Gaprindashvili, Tamar Khmiadashvili, Elena Fatalibekova and Galina Strutinskaya. The Open Section had 200 participants from 40 countries, including 10 Grandmasters and 25 International Masters. The playing format was 11-round Swiss. The 2010 World Senior Champion GM Anatoly Vaisser from France and the 2012 World Senior Champion GM Jens Kristiansen from Denmark shared the first place with 8,5/11 points each. Vaisser took his second title thanks to the superior tie-break. The 23rd World Senior Chess Championships for men and women were open to all players representing the FIDE Chess Federations, regardless of their title or rating, providing that the men are older than 60 (born in 1953 or earlier) and women are older than 50 years of age (born in 1963 or earlier).